The Los Angeles Lakers tweeted photos of LeBron James wearing Lakers gear while practicing. To those who have grown accustomed to seeing James in Cleveland Cavaliers gear for the past four years – and 11 of the past 15 years – it’s jarring to see him in a new uniform. One of the fun aspects of star athletes changing teams is seeing them wear new uniforms. 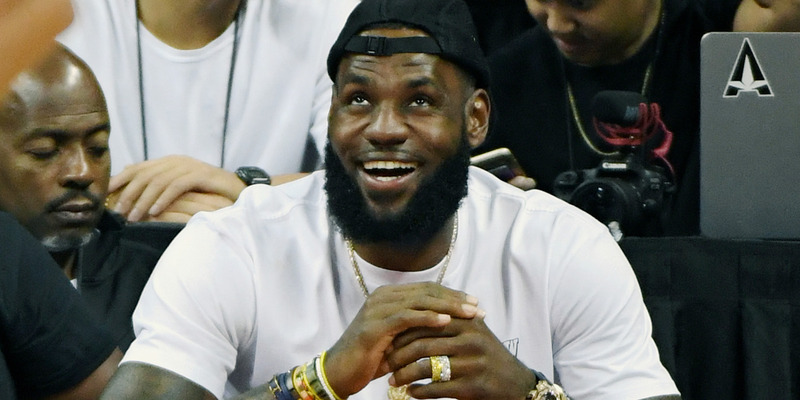 On Thursday, the Los Angeles Lakers tweeted photos of LeBron James working out in their facilities, wearing official Lakers gear, perhaps for the first time since he signed with them in free agency last month. But it’s jarring to see James, who has worn Cleveland Cavaliers gear for the past four years – and 11 of the past 15 years – wearing completely new colours and logos. James made a brief appearance at the Las Vegas Summer League in July wearing Lakers shorts, but this is our first glimpse of what he’ll look like in a Lakers uniform.